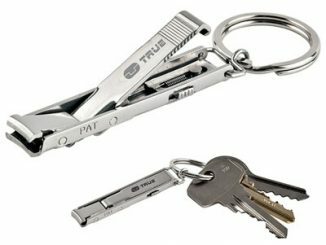 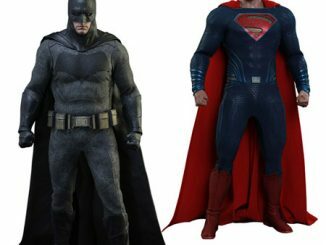 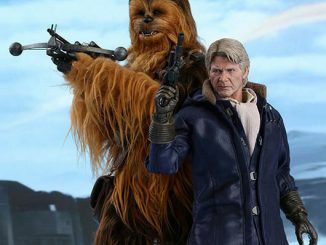 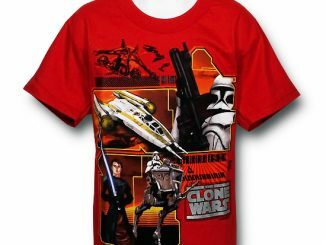 Forget things like a blaster or the Force. 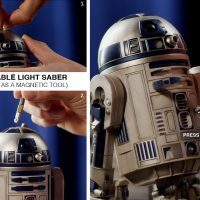 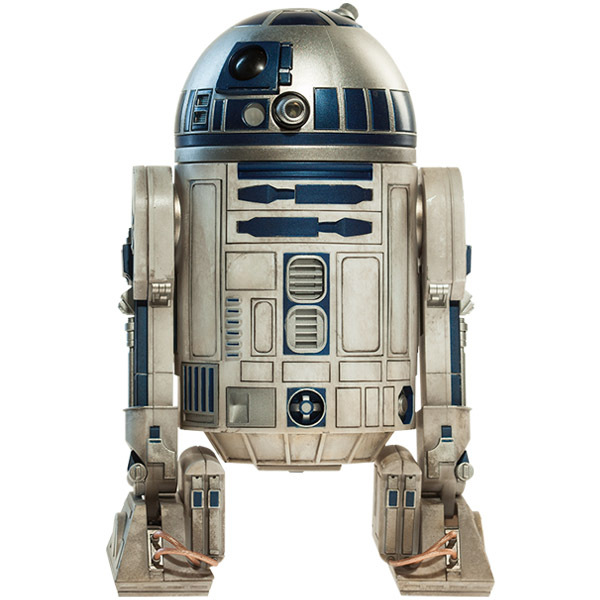 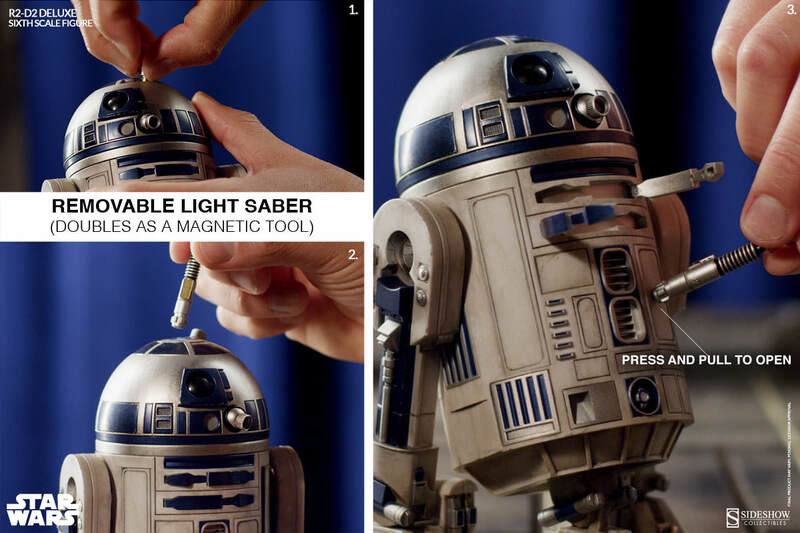 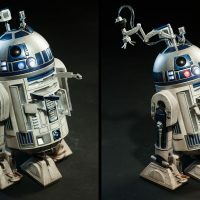 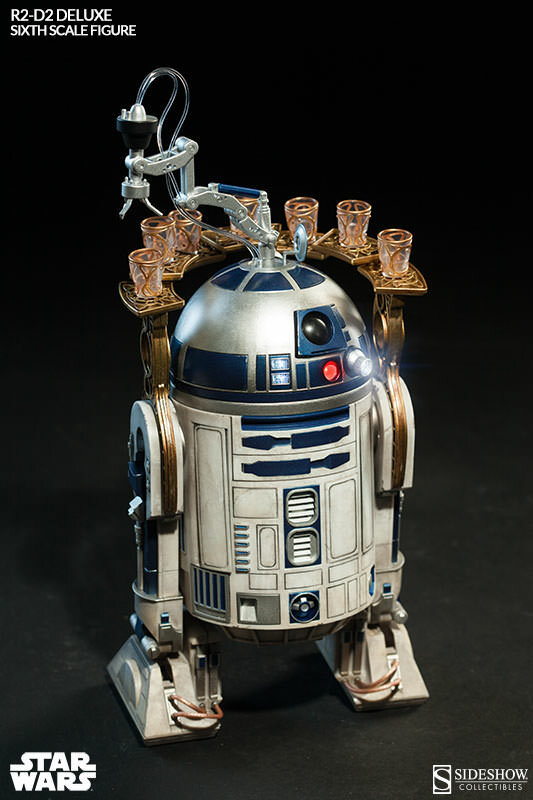 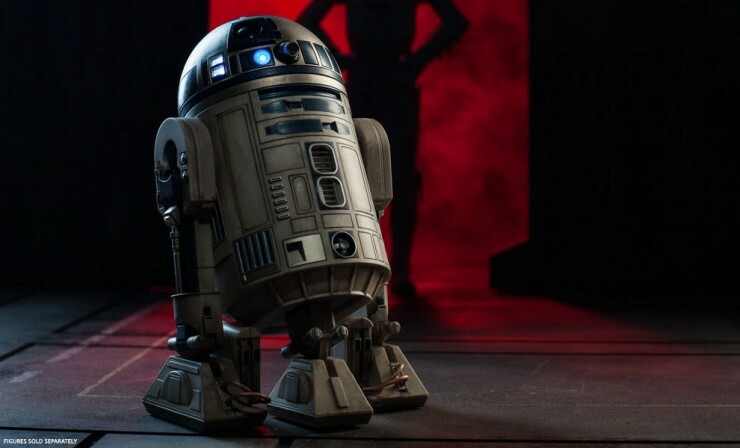 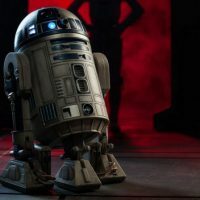 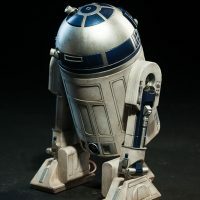 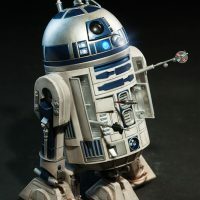 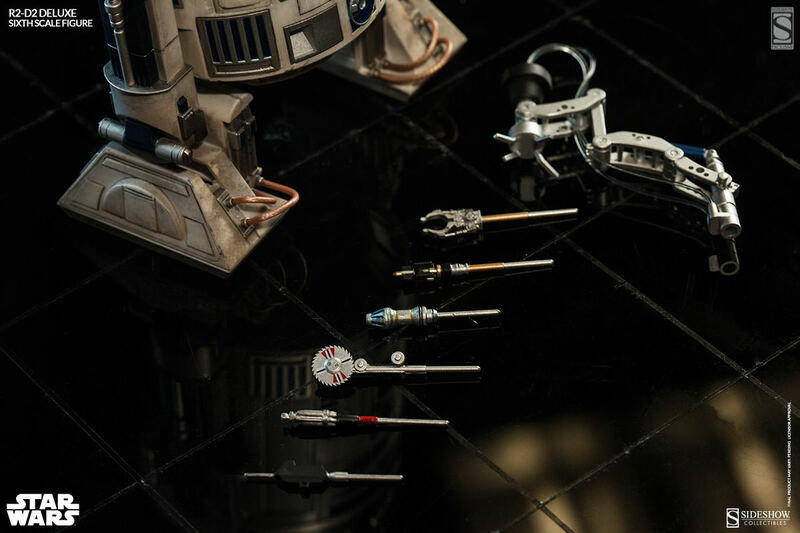 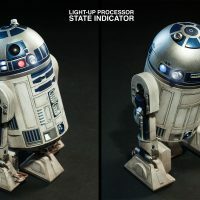 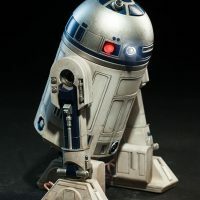 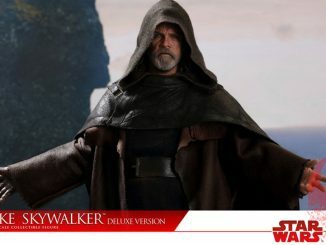 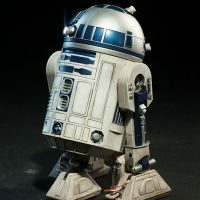 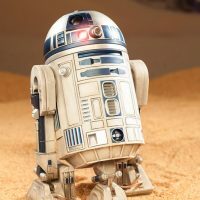 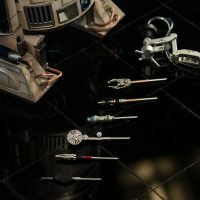 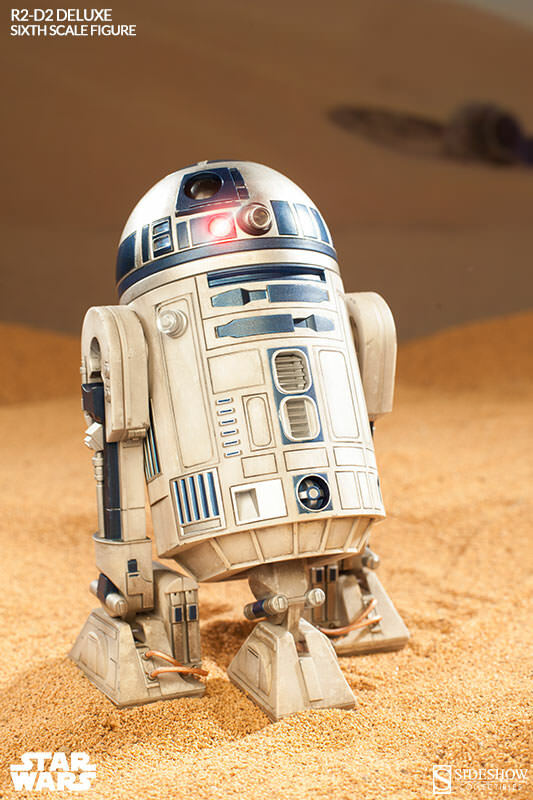 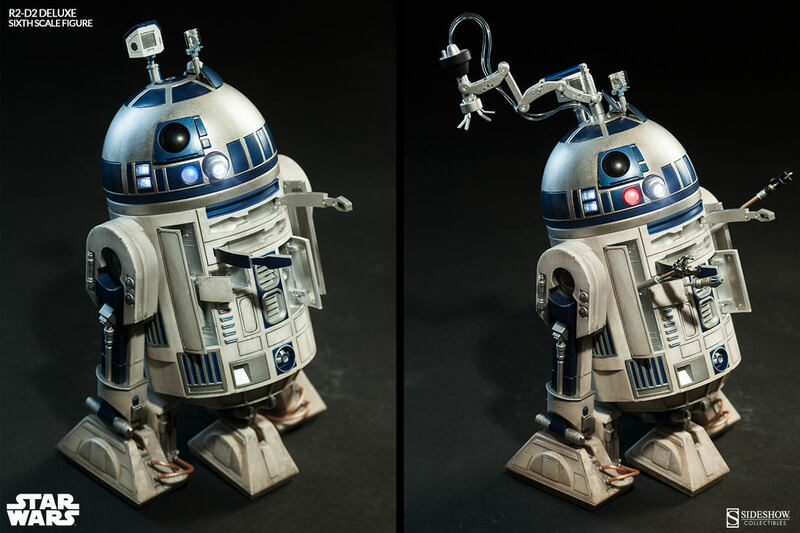 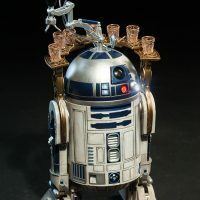 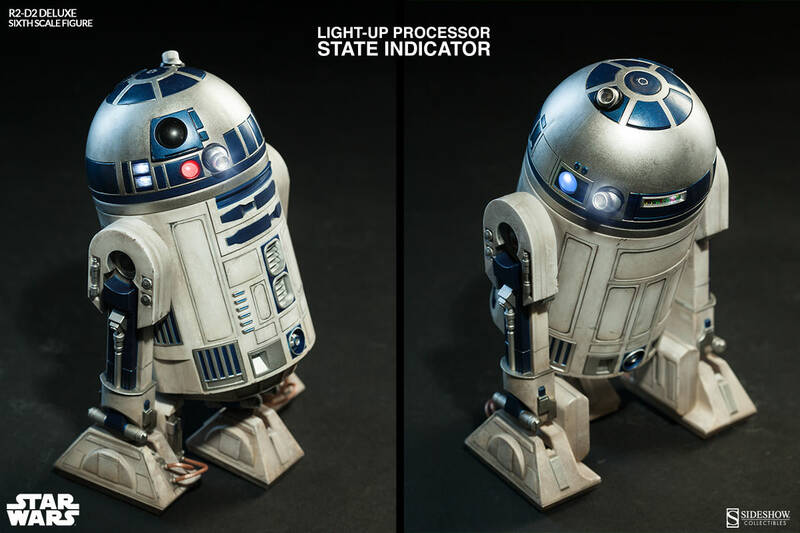 The Star Wars R2-D2 Deluxe Sixth Scale Figure reveals that a R2 series astromech droid is really the only accessory you need if you ever find yourself in a galaxy far, far away. 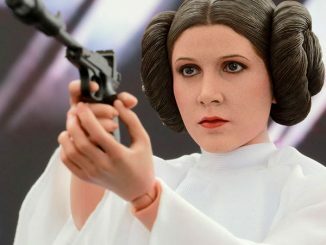 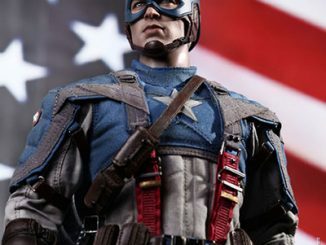 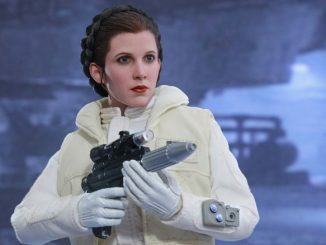 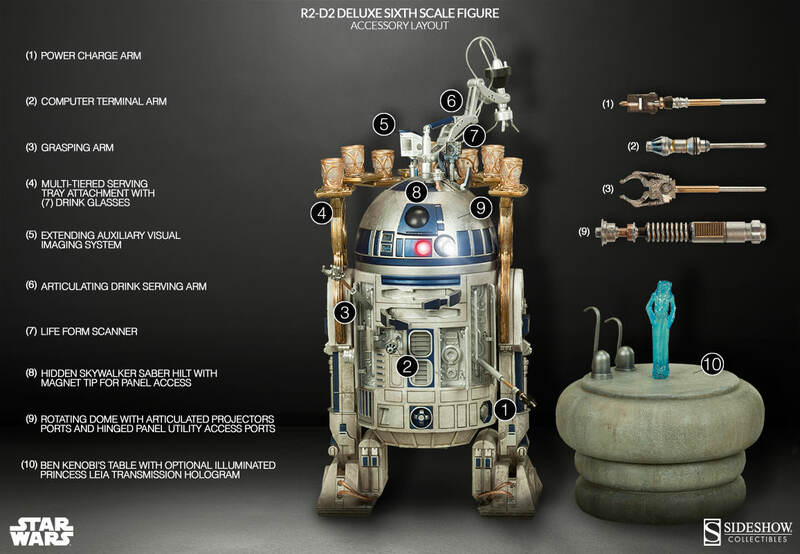 The sixth-scale figure features tons of details that bring C-3PO’s feisty little companion to life, with goodies like various extension arms, blinking lights, a lightsaber that doubles as a magnetic tool to open access panels, and even a little holographic Princess Leia. 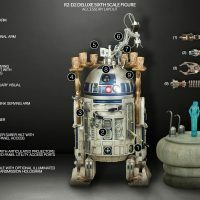 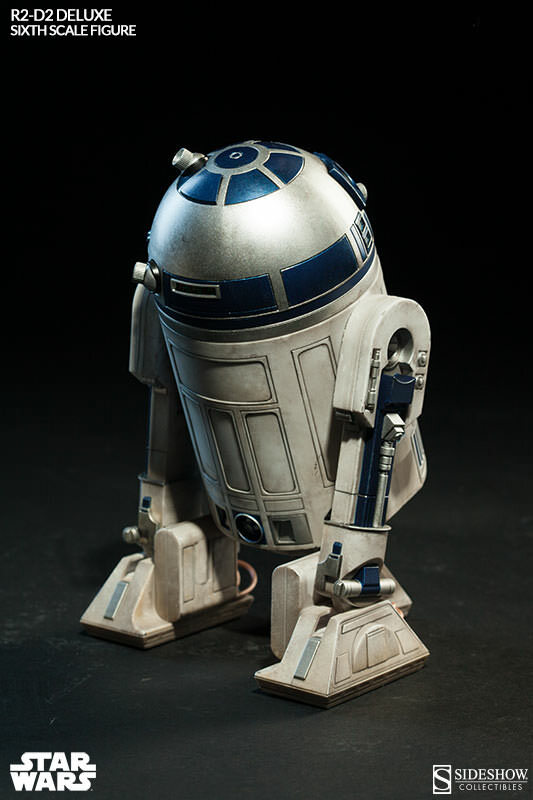 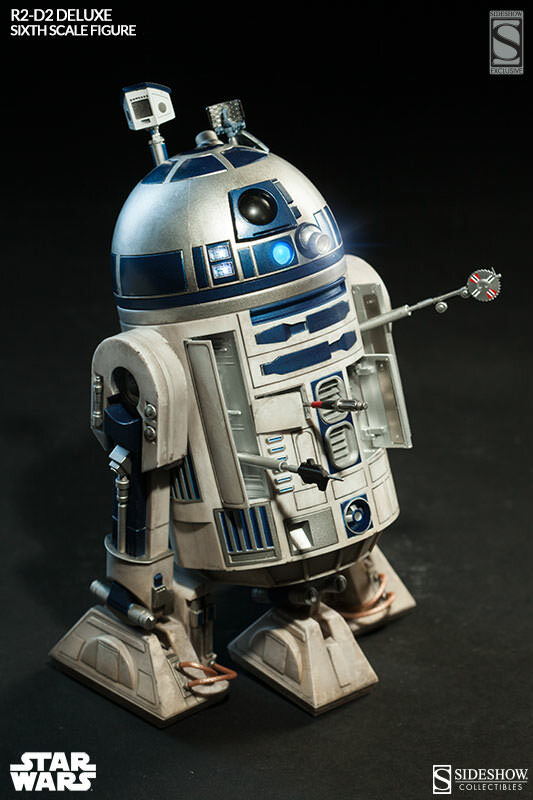 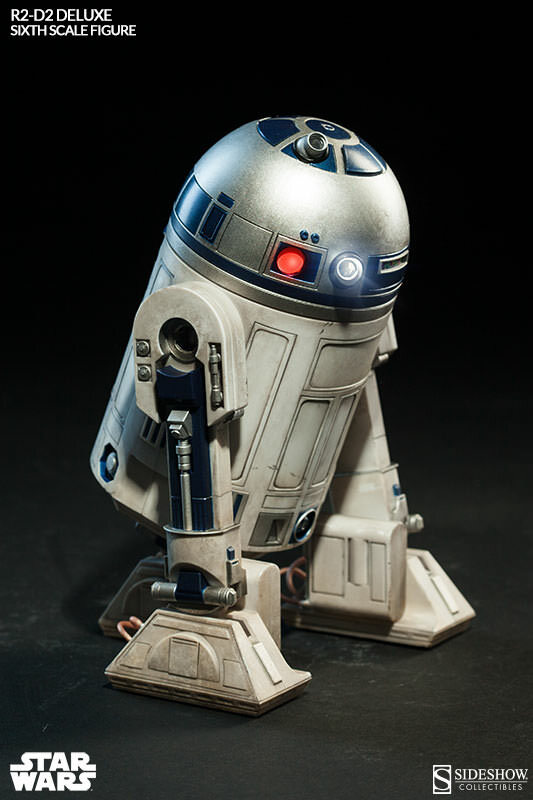 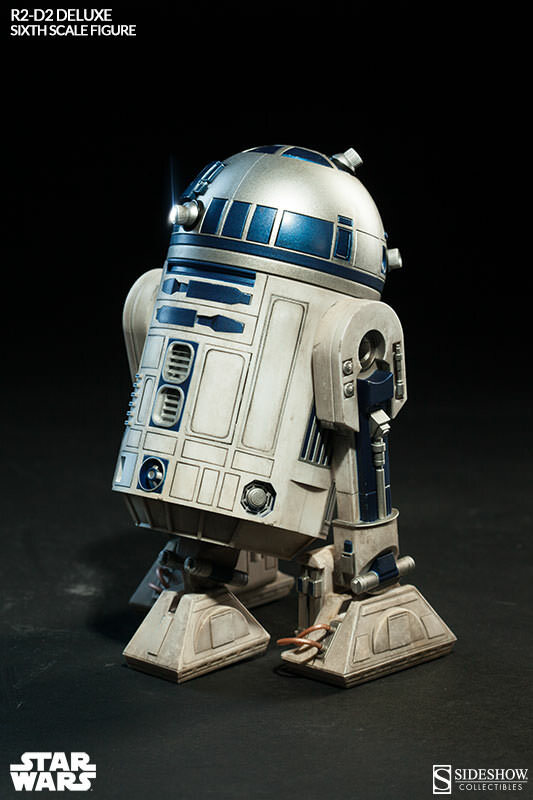 The Star Wars R2-D2 Deluxe Sixth Scale Figure will be available December 2014 but it can be pre-ordered now for $149.99 at Sideshow Collectibles.